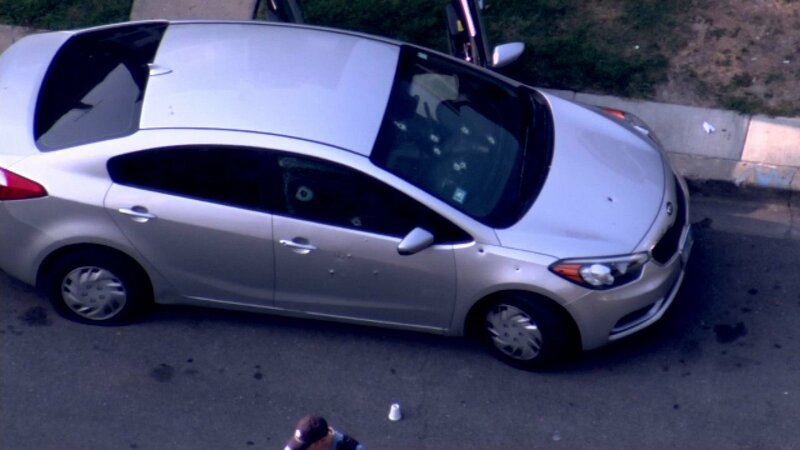 CHICAGO (WLS) -- Chicago police said three people were shot, including two young children, in the city's South Austin neighborhood Wednesday afternoon. Police said the shooting took place in the 5500-block of West Van Buren at about 4 p.m. All three were self-transported to Mt. Sinai Hospital, police said. A 27-year-old man arrived in critical condition, shot in the chest, according to police. Two children were also shot and are in stable condition; a boy sustained a graze wound to the leg and a girl was shot in the leg. The children's mother told ABC 7 Eyewitness News that the victims are her 4-year-old son, 6-year-old daughter, and 27-year-old fiance. She said her fiance had picked the kids up from their summer camp in Columbus Park and stopped to get a snack when someone inside a car opened fire on them.